Everyone of us once wished of Flying like a bird & explore the sky. For humans like us we got Paragliding as an activity which can fulfill this wish of ours (at-least for a short while). There are many Paragliding places in India where these activities are conducted right from cold & cozy Himachal to hot & warm Rajasthan. 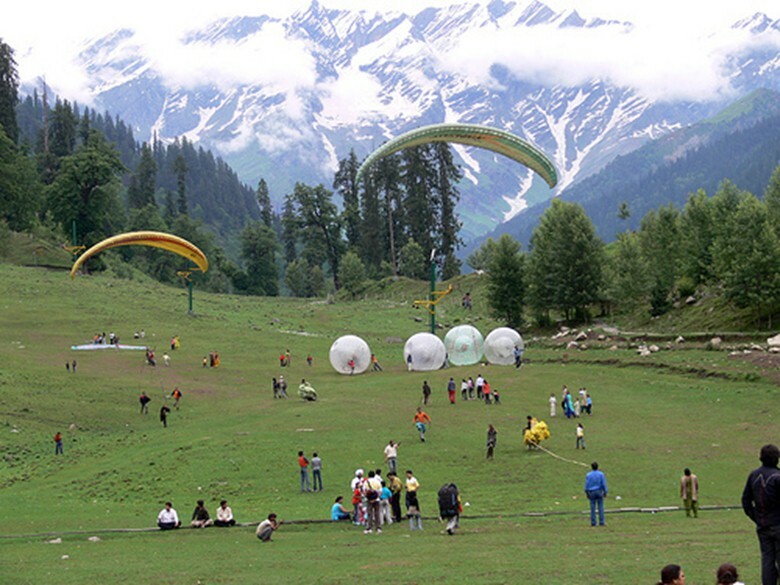 A well-known destination for paragliding in Himachal is Manali. Aside from the monsoon season, you can try paragliding here whenever you want and it is also one of the best paragliding places in India. 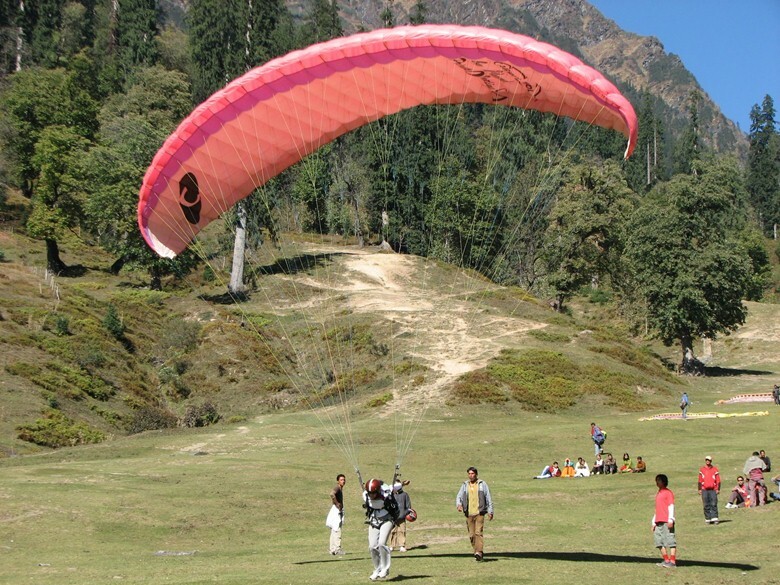 Solang Valley and Marhi are two of the most prominent spots for paragliding in Manali. 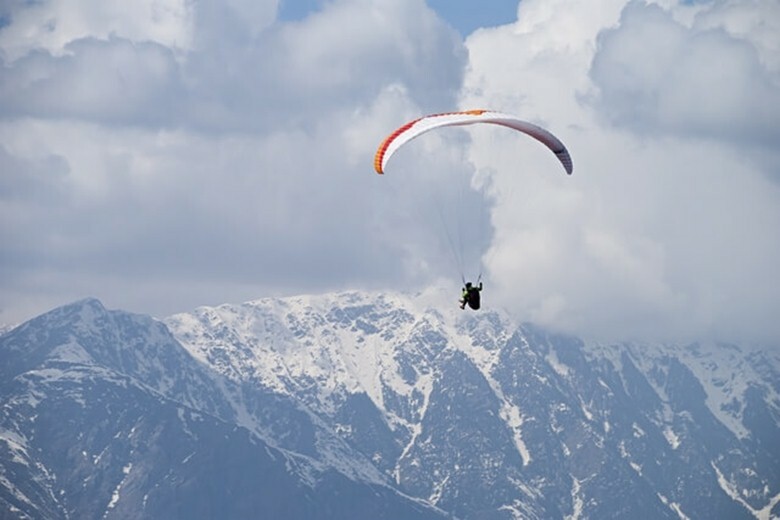 Manali Paragliding is available throughout the Year except during Monsoon. 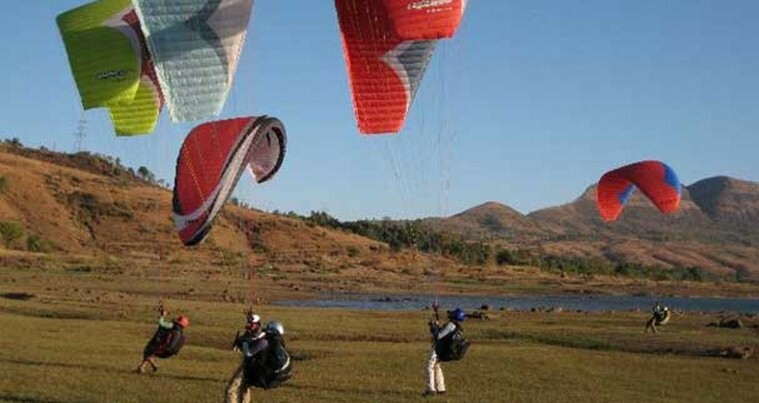 Kamshet is an ideal place for paragliding for People from Mumbai & Pune. 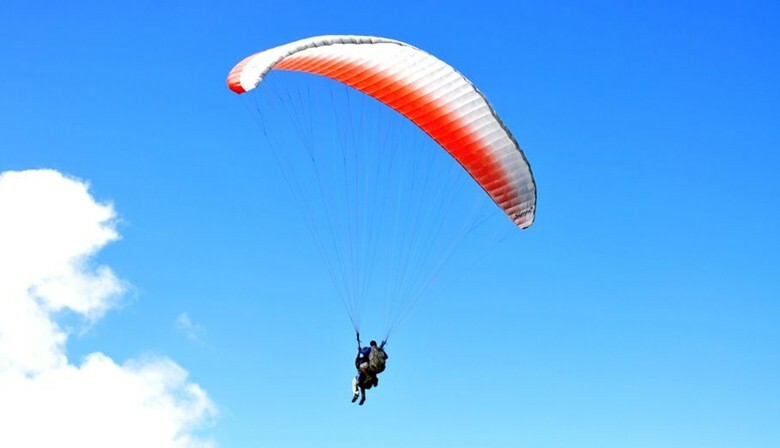 It is considered one of the best places for paragliding around Mumbai as it offers a stunning view of the town. When it comes to Paragliding, we do not want to miss out on a place which hosted First World Cup for Paragliding. 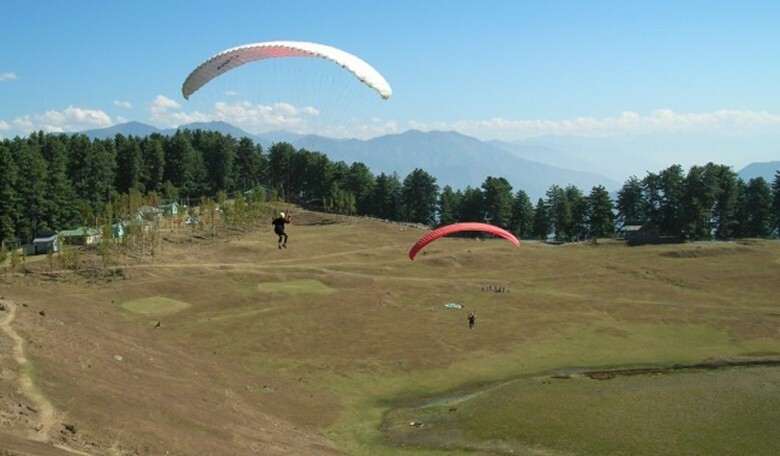 The launch site of paragliding is meadows of Billing which is 15 KMs from the Village Bir & at the elevation of 2400mts. This place gives tough Competition to 11 other Alternatives for Paragliding in Himachal Pradesh. 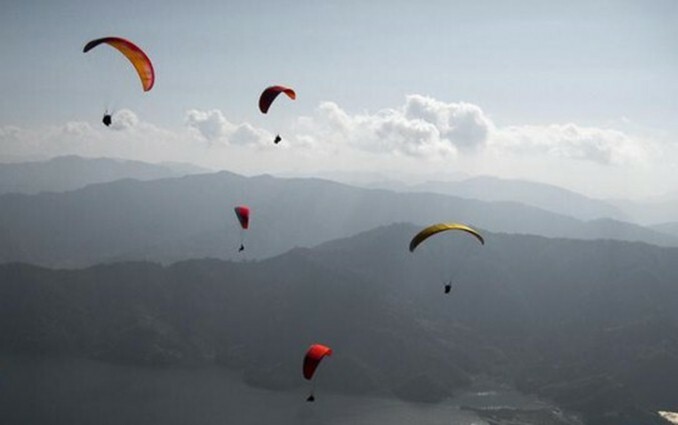 The city celebrated around the world for its lakes – Nainital – offers paragliding for the statures of up to 2000 meters. 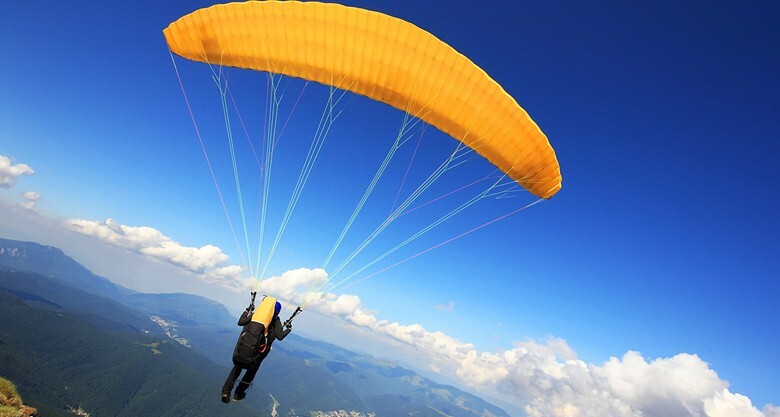 Naukuchiatal and Bhimtal are two areas where one can go for paragliding in Nainital. With the wonderful lakes underneath the flier, this slope station seems to be one of the best destinations for paragliding in India. If you’re planning to beat the heat in Delhi, you can plan for a weekend trip to this beautiful place called Nainital. Just 65 km from Bangalore, Nandi hills is a vital center point of paragliding which is at the height of 1478 m above ocean level. Nandi Hills is a renowned spot among the young people of Bangalore for experimenting with various adventure activities & Paragliding is one of the star attractions. 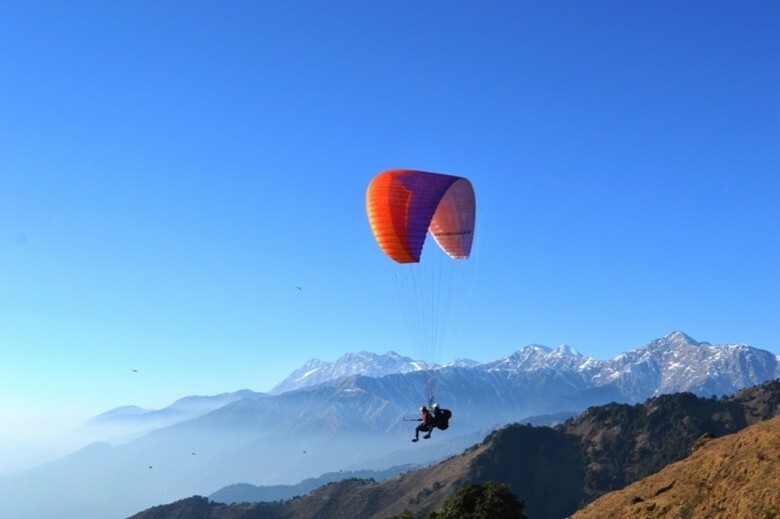 The Beautiful hill-station near Dehradun offers favorable conditions for Paragliding. 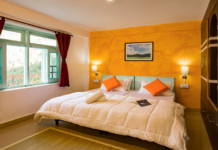 It offers Tandem Paragliding, Expedition Paragliding & Cross Himalayan Paraglding Flights. 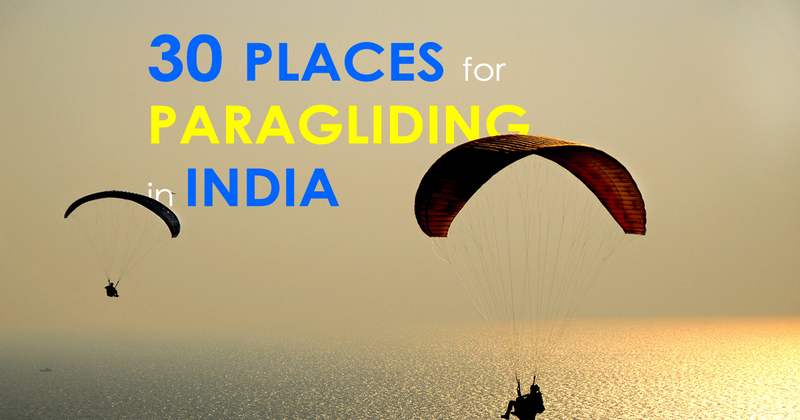 So, next time you plan for Mussorie you know it will also quench your paragliding thirst. 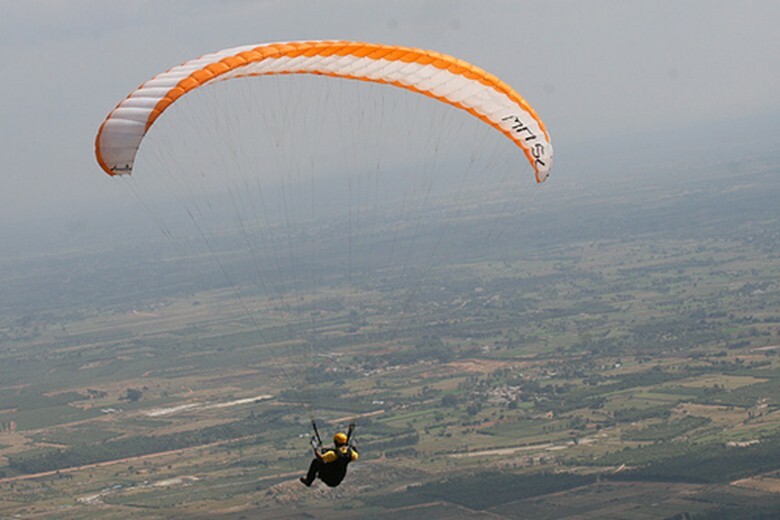 In the event that you are searching for paragliding in Chennai, Yelagiri is the spot to make a beeline for. At a driving distance of 3 hours, Yelagiri offers paragliding from a height of 2200 meters and has a superb sight of natural expanse. Panchgani is a town close to the popular hill station of Mahabaleshwar and it is usually frequented by honeymoon couples. 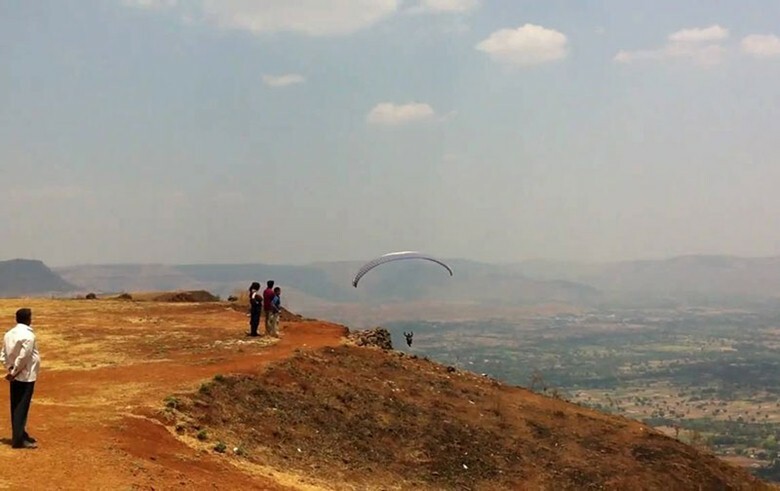 Paragliding from the Horizon point in Panchgani gives you an elevated view of the sanctuary town and scenic landscape of the hills. Ranikhet- Yet another hill station known for its beauty, scenic landscape is also a melting pot for adventure activities. 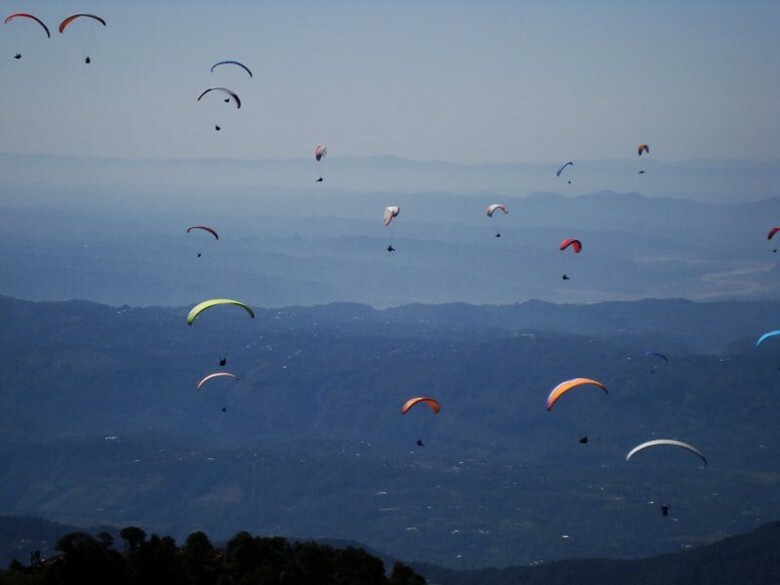 Paragliders can take their flight at the elevation of 1900 mts & witness the beauty of Kumaon Region. This is yet another destination that you can visit for paragliding. The delightful dawn and dusk views are things you without a doubt can’t miss here. Situated among the Shiwaliks, you get the stunning views of Gangotri and numerous different crests as you ascend in the sky. 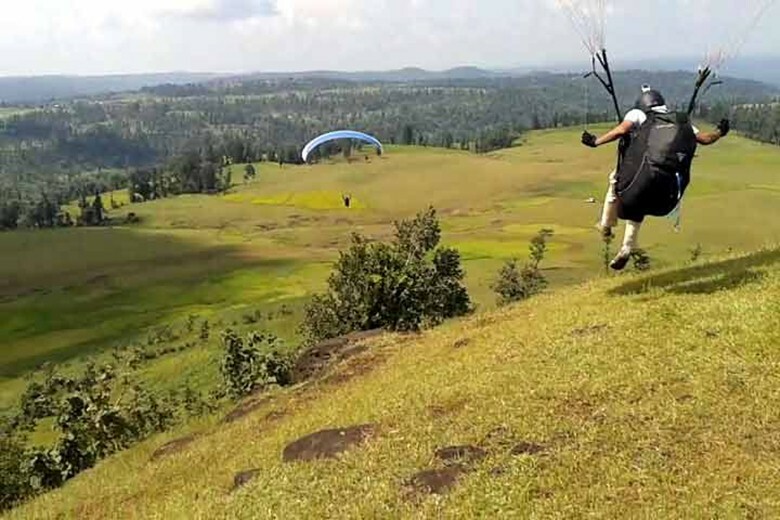 Situated in Maharashtra, this is most likely the main paragliding spot in western India. 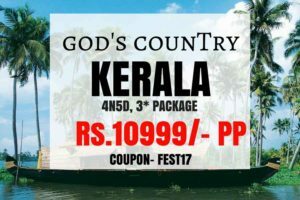 The views that you see from the top is amazingly delightful involving the Pavana Lake, age-old fortifications and numerous fascinating spots. Known as Scotland of the East, Shillong is the capital and Hill station of Meghalaya. 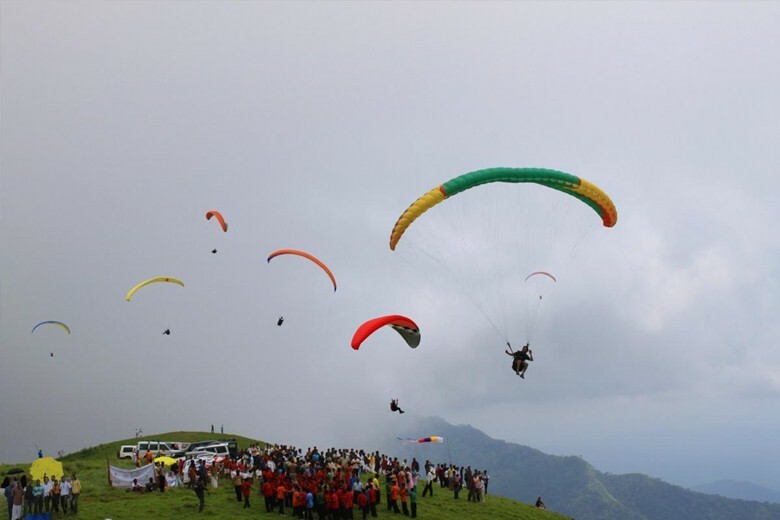 It is one of the Best Paragliding Place in North East India. Paragliders will have access to best in class water powered payout winch framework mounted on a watercraft towing Paragliders up to 700 meters. 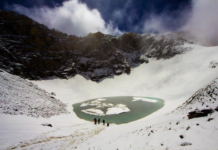 Located at a rise of 3,354 meters in the Chamoli region of Uttarakhand , this spot offers amazing views of the Himalayan Mountains and ideal for the high flyers. Sikkim is gradually rising as a paragliding destination in India and it is visited by adventure junkies from around the world. It is a perfect place for Paragliding. Paragliding at Arambol Beach is genuinely an amazing experience which ensures you an adrenaline surge. Paragliding as an adventure sport includes an awesome surge, as you can have a superior views of your grand surroundings simply cruising in the air with no backing from outside elements. Pavagadh Hill is located inside a plain in Panchmahal region, Gujarat, western India. The slope is a southern Aravalli Range hill, rising 800 meters over the encompassing fields. 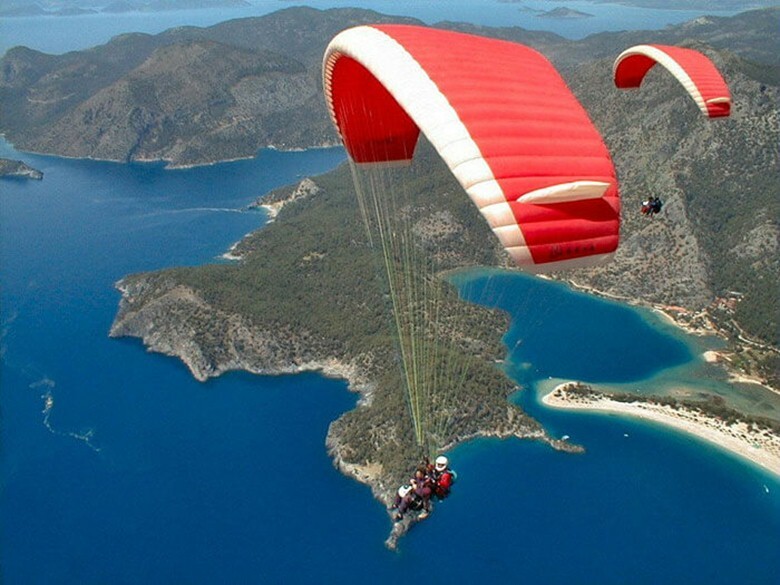 It is surely an incredible spot for Paragliding. 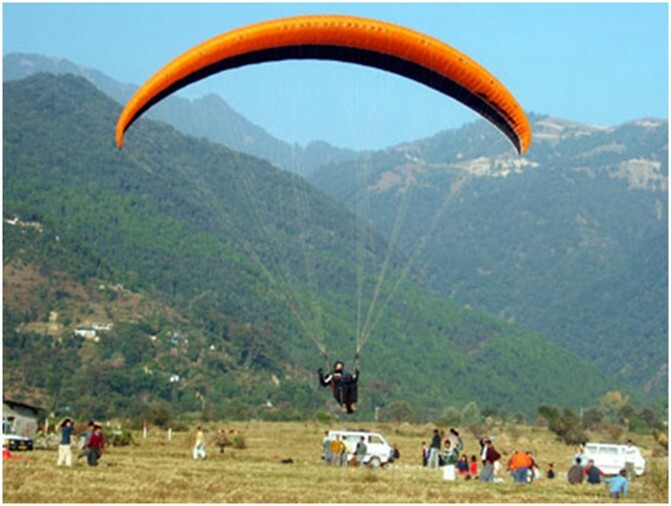 Garhwal is another paragliding destination which is ideal for learners. 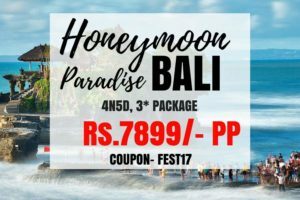 The spot has calm extents which are perfect for the individuals who are going to take their first paragliding experience. Offering wings to fly for the adventure junkies, the paragliding spot at Sanasar is a stunning and energizing spot to savor in one of their most loved adventure sports. 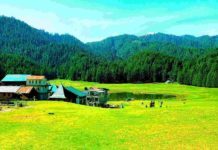 Found roughly 19 km far from Patnitop, Sanasar is a little slope resort with a glass molded knoll, wrapped by monstrous conifers. The spot itself is one of the perfect areas for paragliding. 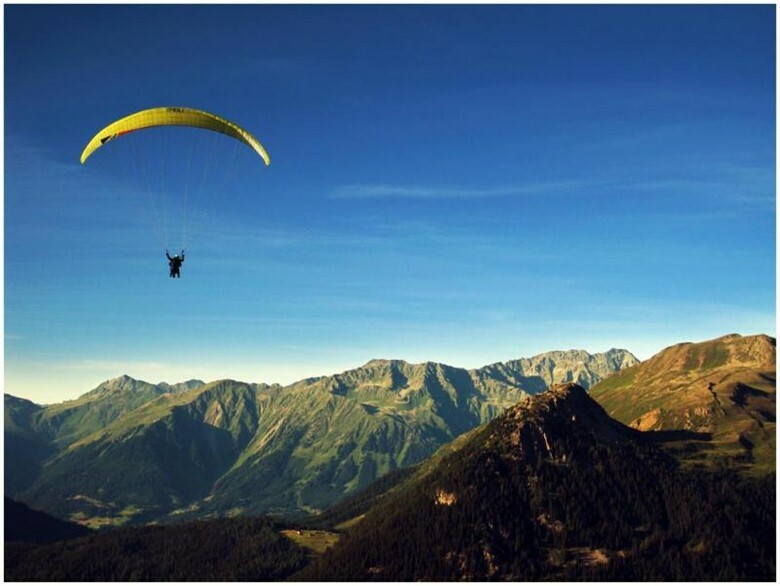 Adding another quill to the top in enterprise tourism of the Himachal State, Indrunag has risen as brilliant destination to enjoy the astounding rush of paragliding. 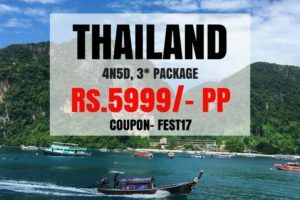 Flying on intriguing, snow-clad tops of Dhauladhar, locating the ripe greenery and additionally taking in cool and natural demeanor of the slope town is an experience, which is unmatched. Matheran, a pleasant, untainted slope station at an elevation of 800 meters is shrouded in green. Matheran stays calm and unpolluted given the fact that no vehicles are permitted inside the town. 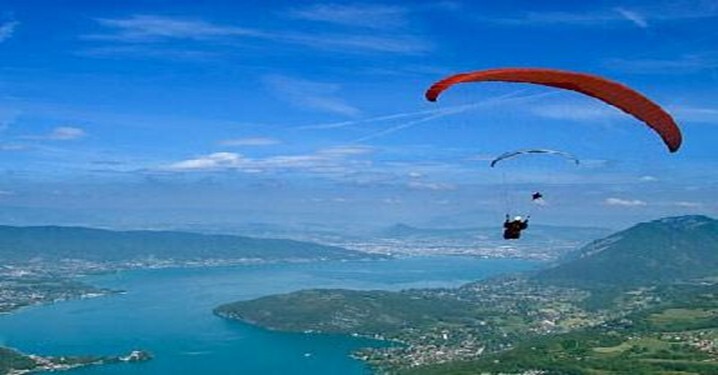 It is a lovely place to go for a Paragliding experience. On the north eastern side of Himachal Pradesh, circumscribing the good counties of Tibet lies the locale of Lahaul – Spiti. The biggest area of the state, it comprise of two sub-divisions of Lahaul and Spiti Valley. The scene is lovely and one of the spots is perfect for Paragliding. A Paragliding scene comprises of loads of open space, sun and air and these three elements are available in the climate of Rajasthan. 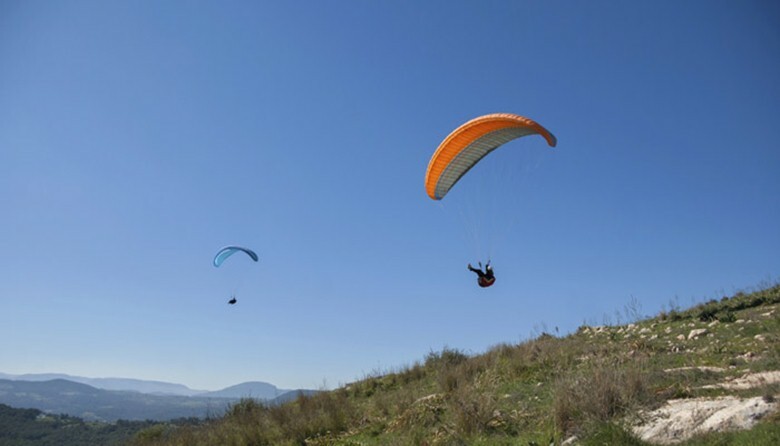 Paragliding is that game that is demanding in Rajasthan, with its open, sandy field. Marhi is a town of roadside eateries in Himachal Pradesh, found halfway between Manali and Rohtang La on the Manali-Leh Highway. Paragliding begins from Mari close to Rohtang Pass and towards Gulaba and arriving at Kothi or Solang Valley. 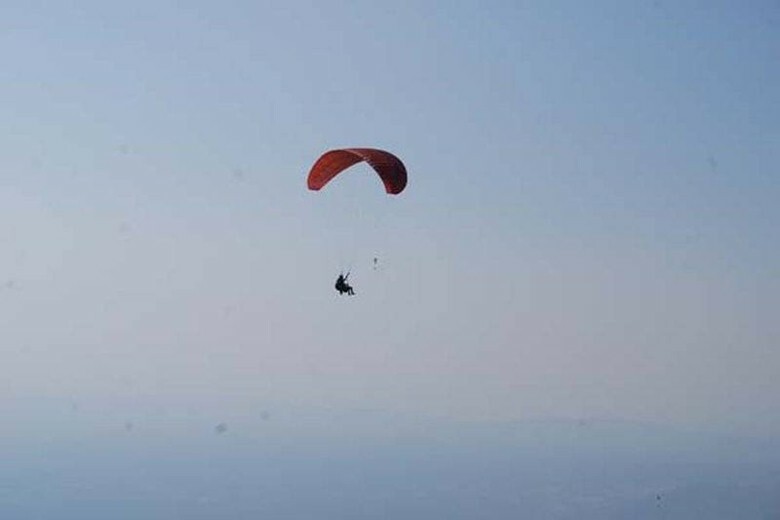 Take to the skies of Dharamshala by means of paragliding. Amid the flying, you will be over the mountain and view stunning perspectives. You needn’t bother about any information, simply take your teacher’s direction on positions for take-off & spend your time looking around, enjoying the flight and landing. This site is situated around a lovely fortification. The region of this fortress was utilized by the British as the late spring camp. You will locate an entire township which remains abandoned. 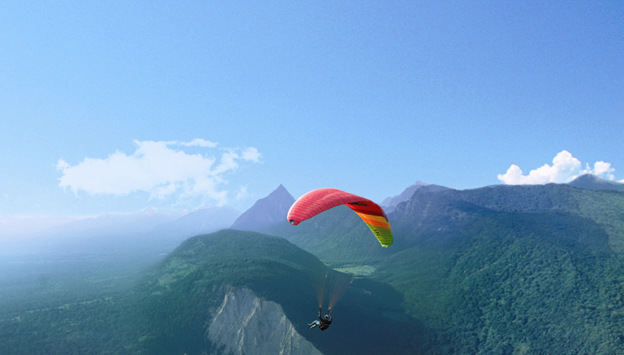 It is a significant old spot for paragliding and the view, slopes you get are mind boggling. 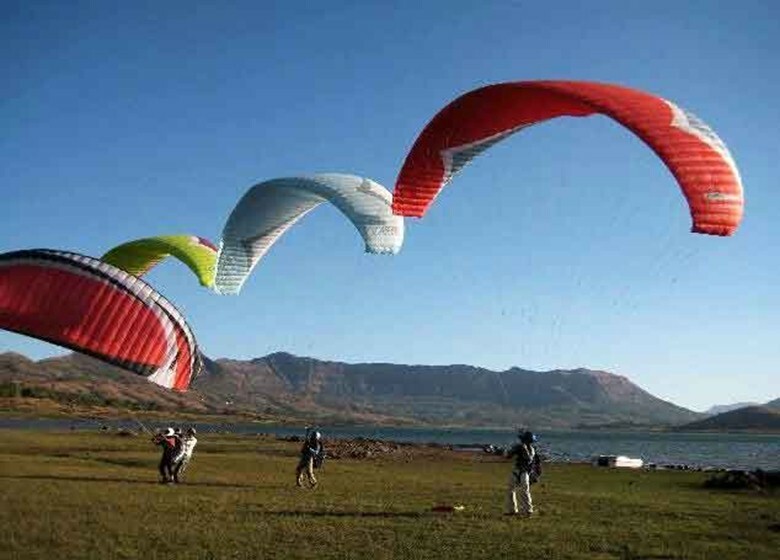 Lonavala is a famous place not just for chilling out but also for adventure sports like Paragliding. 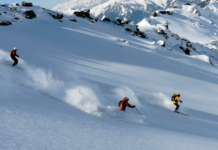 If you’re an adrenal junkie, you will most certainly like it over here. Barot is just 40 KM via road from Joginder Nagar and 12 KM by the haulage trolley. 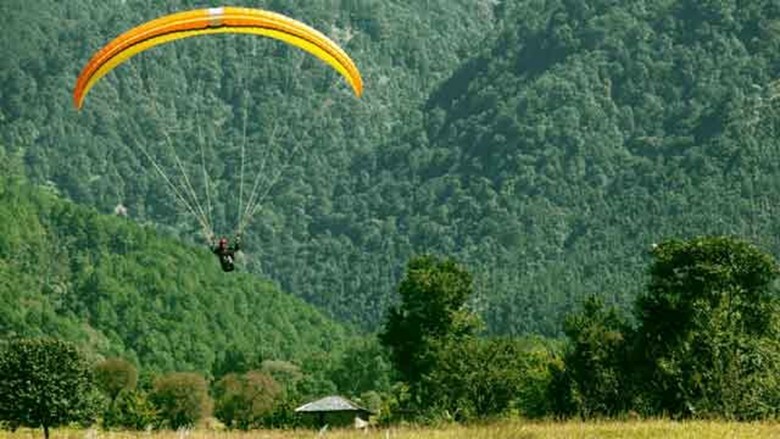 Barot packs a huge scope of outdoor activities & Paragliding is one of the mainstream activities. 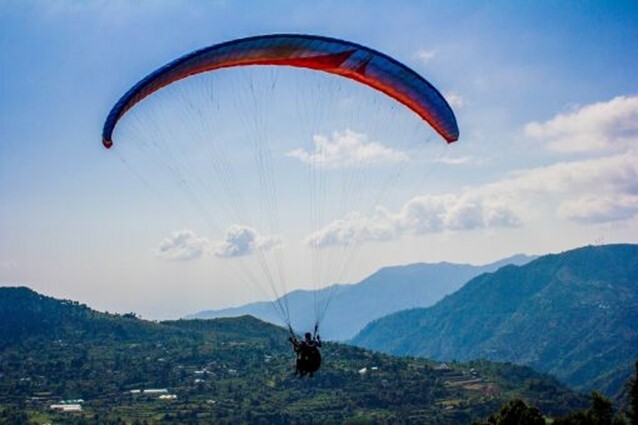 Pithoragarh, is a paragliding spot situated in Uttarakhand wedged in the middle of Nepal and Tibet, in the little Soar Valley of the Lesser Himalayas. The excellence of this spot would take you to a adrenaline journey through Paragliding. Appreciate this amazing experience in the Solang valley by means of Paragliding and keep the recollections of it for a lifetime. By flying around the mountains, you would get the vibes of being a Superhero and that is something each one of us has longed for in our life. 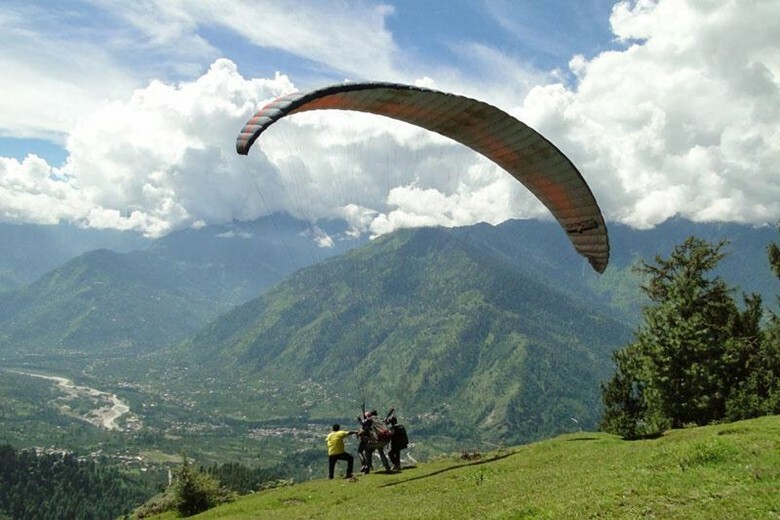 Paragliding in Solang Valley is totally awesome and you ought to try it out. 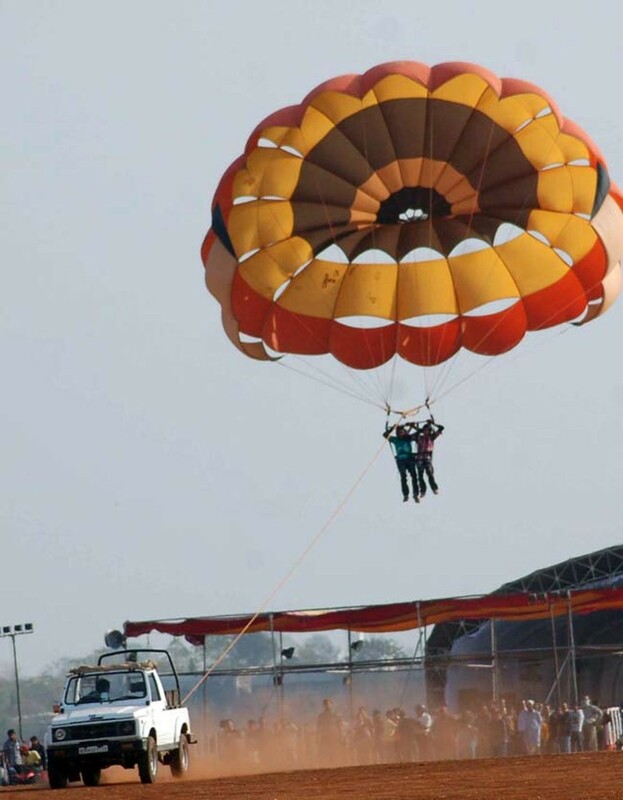 Bhopal is likewise one of the spots which is perfect for Paragliding. Similarly not quite the same as the involvement in the snow tops, yet the rush of flying over the fortresses and getting a regal look from the top is something tremendous.